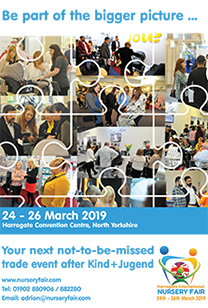 At Harrogate International Nursery Fair this year, the Baby Products Association held a series of seminars designed to shed light on key topics within the Nursery industry. GfK focused on ‘how consumers are spending their money’ and revealed the traits and behaviours among parents in 2013. Closely mapping the sales of Nursery products, GfK identified a clear trend that shows how the seasonality of purchase is directly related to peaks in births. This trend clearly encompasses the biggest volume and value categories of ‘feeding’ and ‘transport’. Within these categories, one in every two purchases is in ‘feeding’, whilst parents spend £1 in every £3 on baby transportation products. Looking at the relationship between online and offline buyer behaviour, the importance of social media is becoming very evident in this sector. 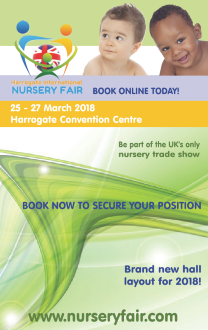 The primary target market for the nursery industry tends to be female and three out of four social media users are women, with a strong preference for Facebook. One out of two consumers use their smartphones or tablets while shopping, making the whole process of price and product comparison between online and offline channels rapid and easy. When it comes to high value items such as strollers and car seats, parents still like to spend their money in mother and child specialist stores. Even though strollers sell for a premium of £7 when compared with the online channel, people prefer to base their decision on tactile experience and face-to-face judgement. This price premium is an exception, as products such as monitors, car seats and high chairs are actually more expensive online as customers trade up. Overall, one in five Strollers, one in four car seats, one in three high chairs and one in two baby monitors are purchased online. GfK also studied certain price points across the market, and revealed a number of key success stories. For example it found that one in two Strollers priced at £300 plus are travel systems, while at £50 plus, one in two baby monitors sold feature video observation. Looking closer, the number of monitors with WiFi connectivity has dropped a little in the last three months, although it is a growing segment in 2014. Additionally, wooden highchairs at £50 plus are becoming more popular and at £150 plus, the Group 0/0+/1 and Group 0/1/2 categories are the fastest growers over the last 12 months. One in every two Car Seats sold now have Isofix settings. You can download a synopsis of GfK's findings HERE.